Yes, Fast Notary Services is available during the holiday season. Just give us a call 818-578-5973 and a notary will be available to assist you. Fast Notary Service uses only highly experienced notary public. We also have a network of very experienced and professional notary publics across Los Angeles County and San Diego. Whether you need a simple affidavit notarized or a full loan package, we can help. We are knowledgeable of various financial and legal documents. Regardless of the holidays, unexpected things happen and a notary is needed. Remember, we are here to help 24/7. Call 818-578-5973 and a notary will assist you. Notary Near Me? Yes we are! When you have that “notary near me” need, Fast Notary Service has you covered. We network with dozens of mobile notary publics within the Los Angeles county area. Regardless of distance, you will have a notary meet with you within Los Angeles County. Fast Notary Service is centrally located in Encino, California. As providers of professional notary services 24/7 within the Encino, Los Angeles area we guarantee our notary work. We offer contract notarial services for businesses that have multiple notary needs. Call us 818-578-5973 to schedule a consultation today. Our notary contract service can help your business save hundreds in travel fees. Avoid maintaining an in house notary. This increases your business exposure and liability. 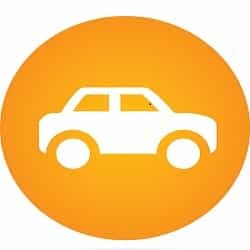 Furthermore, you limit the liabilty of your business when using our services. Additionally, having a professional notary helps avoid costly mistakes. Regardless the size of your business and notary needs, Fast Notary Service can help you save money. Also, save time with our services. Additionally, save money with our notary services. Avoid headaches and stress with our notary services. Finally, use our notary services and enjoy the professionalism. A Professional Notary Public can help you avoid costly mistakes. Part-time notaries aren’t always aware of all the notary laws. California has strict notary laws, that changes often. A professional notary public is always up to date on the notary laws and practices. Additonally, a professional notary is dedicated to executing notarizations perfectly. I started my notary career in 2007. I worked for a reputable estate planning law firm in Encino. In 2012, I deceded to start Fast Notary Service. I provided professional notary services to Los Angeles area. Additonally, I focused my business to serve other professionals and businesses. This allowed business to worry less about notarizations with errors. Therefore, companies can focus on other issues. We have executed over 2,000 notarizations to date. Provide additional value to the attorney/law firm. Clients no longer hassle with difficult scheduling or traveling. We courier the documents to them at their convenience of time and location. Notarized those documents and return them to the attorney. We save everyone time. The attorney/law firm is freed from scheduling their clients. Avoid losing valuable billing time. The attorney can teleconference in while signing the legal documents. Saving money. Attorneys either bill by the hour or set a flat fee for thier service. We free up your time by having a notary signing agent service handle the signing of the legal documents. Thus, giving the attorney more time to work on other projects. A quick phone call will resolve most issues, if any arise during the signing. Our signing services are ideal for attorneys and small law firms. They avoid the liability and costs associated with maintaing an in house notary. Attorney’s save time by entrusting us with the signing process. Our notaries are familiar with most legal and financial documents. This includes, but not limited to: Trusts, prenuptial agreements, loan signings, escrow documents, and more. Additionally, we aren’t afraid to ask the right questions. As a result, we avoid mistakes. Another benefit is having the pease of mind that your client is in good hands. Becuase we understand that professionalism is important to attorneys. So if you wish to learn more about our services, call or email us. Now for another Encino Notary Public near you Journal entry. I have been working with other notary publics in the area, which has benefited everyone in the group. Especially the newer notaries who don’t have as much work. We are an Encino notary public company that performs loan signing services for banks and escrow companies. Additionally, we also perform the typical notary assignments. We also courier documents from client to attorney, as a built in cost to our mobile notary services. Provide additional value to the attorney/law firm. Clients no longer need to hassle with difficult scheduling and traveling to the attorney’s office. We courier the documents to them at their convenience of time and location. Notarized those documents and return them to the attorney. We save everyone time. The attorney/law firm no longer need to hassle with scheduling their clients. Or having to travel to their client’s home/ business and lose valuable billing time. The attorney can now teleconference in while I conduct the signing of the legal documents. Saving money. Attorneys either bill by the hour or set a flat fee for thier service. We free up your time by having a notary signing agent service handle the signing of the legal documents. Thus giving the attorney more time to work on other projects. A quick phone call will resolve most issues, if any arise during the signing. Our signing services are ideal for attorneys and small law firms. They avoid the liability and costs associated with maintaing an in house notary. Attorney’s save time by entrusting us with the signing process. Our notaries are familiar with most legal and financial documents. This includes, but not limited to: Trusts, prenuptial agreements, loan signings, escrow documents, and more. Another benefit is having the pease of mind that your client is in good hands. Becuase we understand that professionalism is important to attorneys. So if you wish to learn more about our services, call or email us. It’s been a while since my last Encino Notary Public Journal entry. I have continued to network with other professionals and notary public. Also, I am starting a notary network for notary public. Just wanted to share our fast Encino Mobile Notary youtube video. As a Encino Mobile Notary public, our goal is to provide the very best service. Additionally, we provide value to businesses that have regular notary needs. As a result of our great service, client’s refer our services to their friends and family. Sometimes we focus on price too much that we forget value. As the saying goes “You get what you pay for.” Not all notary public’s are created equal. Some are part time, mostly with very little knowledge. Professional notary public’s are familiar with many legal and financial documents. Professional notary public’s are savy on the latest Secretary of Sate news and laws affecting the notary world. Finally, don’t be scared to call. Because we are always happy to answer your questions. 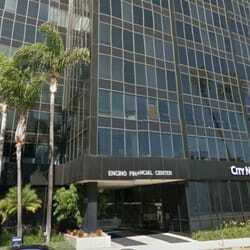 Our main office is located in Encino, California. We also have professional and secure conference rooms to use if you decide to make an appointment at our offices. We assist with notarizing many legal and financial forms. Due to demand, we also refer you to a service for affordable legal help. This legal service helps you with a vast majority of legal issues. Contact us for more information. Finally, as professional notary public’s, we are familiar with many legal and financial documents. If you need help going through the documents, we are more then happy to assist. Therefore, call us or email us. Our video outlines the reasons why it is beneficial for someone to use our mobile notary services. 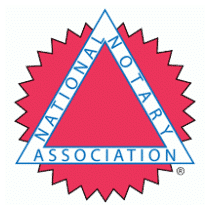 We do work with other notaries in surrounding areas, so we’ll be more than happy to refer you to reliable professional notary public. We hope the video answers some of your questions and confusions about a notary. Networking is an investment for any entrepreneur. For self-employed notary publics, networking is especially important. This is where we distinguish ourselves from the hundreds of other notary publics. Creating that relationship with repeat clients is very valuable for notary publics. Mobile notary publics, who are also loan signing agents needs to network heavily with escrow companies, title companies, and attorneys. Unfortunately, having even a handful of such clients are still not enough. In order to have a steady flow of work, a notary public should have at least a dozen of such clients. 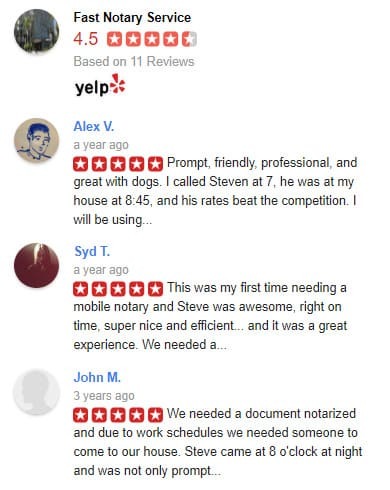 Being a mobile notary public in Encino, my bulk of clientele come from Google (about 90%) and Yelp (9%) and the rest from various online notary directories. But I try not to spend too much time and/or money into this type of marketing. I’m much more interested in obtaining clients that will be using my services on a regular basis. That is why networking is so important to my business. As always, I am looking to work with attorneys, escrow officers and bankers. As a professional mobile notary, my services add value to your business in the eyes of your client. I’m always professionally dressed, polite and perform all notarial acts efficiently and correctly. We are an Encino notary public company that performs loan signing services for banks and escrow companies. Additionally, we also perform the typical notary assignments. Furthermore, we courier documents from client to attorney, as a built in cost to mobile notary our services. Another week has come and gone as a Traveling Encino Notary Public. The loan signing side of my business has been rather slow. 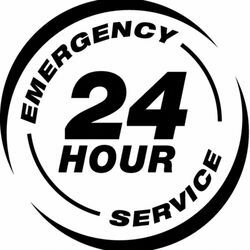 As a 24/7 mobile notary, it is important to have a wide pool of job sources. Whether it be attorneys, banker or escrow officer, a notary needs to continue to network. One thing I do focus on more than anything is online marketing. 90% of my business comes from people inquiring about notary publics near them. The rest is from Yelp, which I only maintain my free profile. (The cost of advertising on Yelp is too high). In addition to being a 24/7 notary public in Encino, Ca, I am also a tax preparer and an Independent LegalShield Associate. Preparing taxes is seasonal and helps cushion the slow times. LegalShield is a great way to build residual income. This is important for me since I am self-employed and have no vacations. With LegalShield I can have a small stream of income (goal to make it large) even during times when I am not actively working. We welcome any self-employed notary public to inquire more about it. I am looking to network with other notary public’s.Referral work from another notary public is preferred over work from a signing company. I try not to work with signing companies. Signing companies are the middle men that take money away from notary publics. They rank high on search engines, bargin notary fees to a minimum and expect the notary to take the bottom barrel pricing.